Just bought the above from Tesco Watford. That's about £90 in games, £40 controller, makes the console £100. Best deal yet, might be one or two better than this but it's worth getting on this now if you're after one for Christmas. The staff said that all large stores (Extra) should have it. Worth ringing the ones near you? The staff said that all large stores (Extra) should have it. Worth ringing …The staff said that all large stores (Extra) should have it. Worth ringing the ones near you? PS4 slim I take it ? Has anyone else managed to find this deal, not on in my local Extra. That's about £90 in games, £40 controller, makes the console £100. Best de …That's about £90 in games, £40 controller, makes the console £100. Best deal yet, might be one or two better than this but it's worth getting on this now if you're after one for Christmas. Gutted. I bought mine pre order from Shop to. £229 for the 500gb console with Fifa Ronaldo edition and an extra controller. 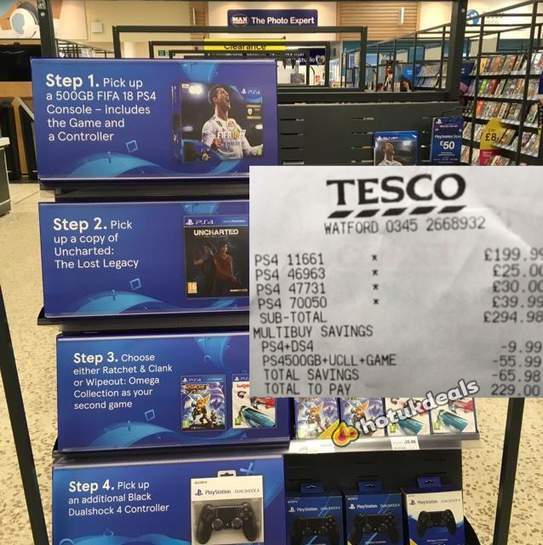 I sold my old PS4 for £160 and a broken controller for £10 though and the Fifa game for £50. Did you ask them to scan all the items ? They were less than accommodating and seemed put out that I even ask the question, I've contacted HQ direct to a) ask the question, and b) complain about how their lack of customer service made me walk out of the store. Just picked up from Tesco perivale, staff were not aware of the deal despite the display which was up. 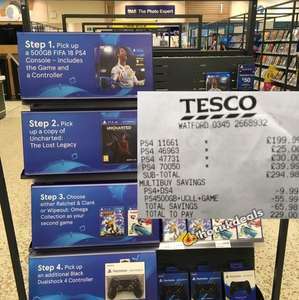 Just bee to Tesco in Burnley and they had no controllers so couldn't do the deal, gutted. An Amazon deal. On here somewhere. Tempted for my son for Xmas but do you think there will be a better deal on Black Friday? Hey guys, glad to see some people managed to find this deal, hopefully many more will. 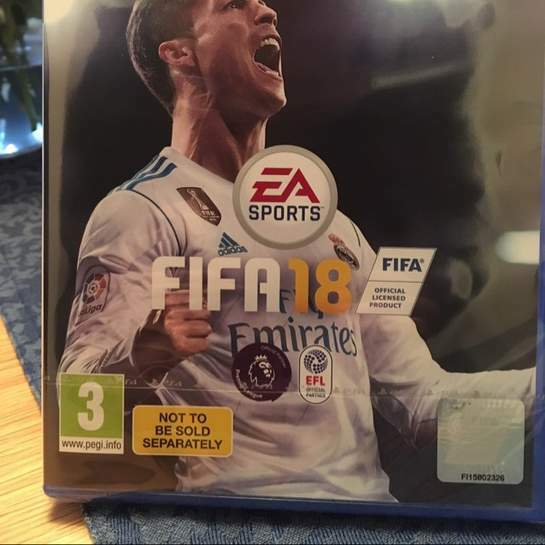 Just got home and opened the box and I saw that the FIFA 18 game has a yellow sign saying "not to be sold separately". Just so you know. Do you think CEX would still buy this? Yes, I sold them 2 copies from the sony bundle today.